Making your own teeth impressions is simple. This site the web portion of a 30 year old lab that has serviced over 800 dentists & orthodontists. Until recently, customized dental appliances were available to the public only through your dentist. This was largely due to the level of skill in taking one's teeth impression, the impression required to cast a model and create customized mouthpieces. Most dentists send teeth IMPRESSIONS to dental labs to be cast, modeled, & customized into form fitting oral appliances delivered back to the patient a few weeks later. 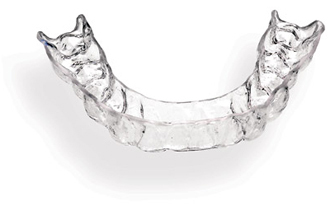 Typically, the cost for upper & lower retainers range between $500.00 and $800.00! YourTeeth's founder has been in the dental and orthodontic industry for 30+ years and has done dental lab work for HUNDREDS of dentists & orthodontists all over the United States. His years of work and research for the dental/orthodontic community has yielded the finest process and products available.